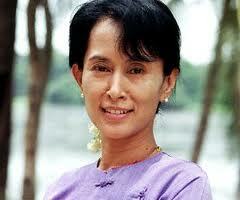 Aung San Suu Kyi has finally received her honourary degree from Oxford University. The leader of Myanmar`s opposition is being honoured on 20 june at the university`s Encaenia ceremony, in which it presents honourary degrees to distinguished people.Suu Kyi, who is making her first visits outside of her native country in 24 years, was awarded the honourary doctorate in civil law in 1993 but was unable to collect it under house arrest in Myanmar.She studied philosophy, politics and economics at St. Hugh`s College in Oxford between 1964 and 1967. Bulu Imam of Jharkhand and Binayak Sen of Chhattisgarh has been invited to receive the Gandhi Foundation International Peace award 2011 at a function to be organized at the House of Lords in the UK on June 12.While individual letter of invitation has been sent to both of them, the citation released by the Gandhi Foundation on its website reads that the duo have been selected for the international peace award for their humanitarian work and their practice of non-violence. The Foundation honours individuals or groups annually based on their work in the field of promoting or practising Gandhian philosophy. Hazaribag-based Bulu Imam has been selected for the award in the wake of his non-violent approach in protesting coal mining and environmental damage to Upper Damodar Valley (Karnapura) because of open cast coal mines. Israeli scientist Daniel Hillel won the World Food Prize 2012 on 13 June 2012. The work and motivation of Daniel Hillel built the bridge between the divisions and to promote peace and understanding in the Middle East by advancing a breakthrough achievement. His works contributed to agriculture-dominated economies. He applied the method of micro-irrigation, which maximizes the efficiency of water usage in agriculture. World Food Prize is an international award. This award recognizes the importance of water for agricultural purposes. Dr. Hillel will be formally presented with the cash prize of 250000 dollar award in October 2012 at United States. The World Food Prize award is chaired by M.S. Swaminathan. He is Indian agricultural scientist Professor and the first World Food Prize laureate. Sachin Tendulkar was conferred upon the Wisden India Outstanding Achievement award for completing a century of 100 international hundreds, in Dubai on 11 June 2012. Tendulkar was presented a trophy at an event organised by FidelisWorld. Tendulakar achieved the incredible feat while playing against Bangladesh in the Asia Cup in March 2012. He has total 49 One-Day International centuries and 51 Test centuries to his credit.